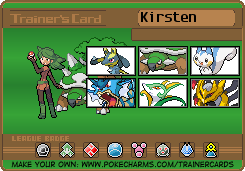 I made a trainer card based off of my team in Pokèmon Platinum, White and Sun (I only got a shiny Lucario in Sun). Hope you like it! Excalibur Queen and Kirstenonic05 like this. 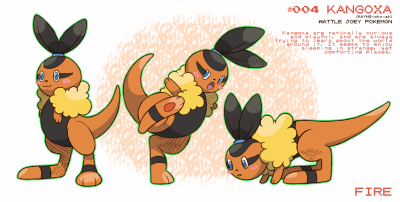 Excalibur Queen, DarkHydraT and PrincessPika like this.